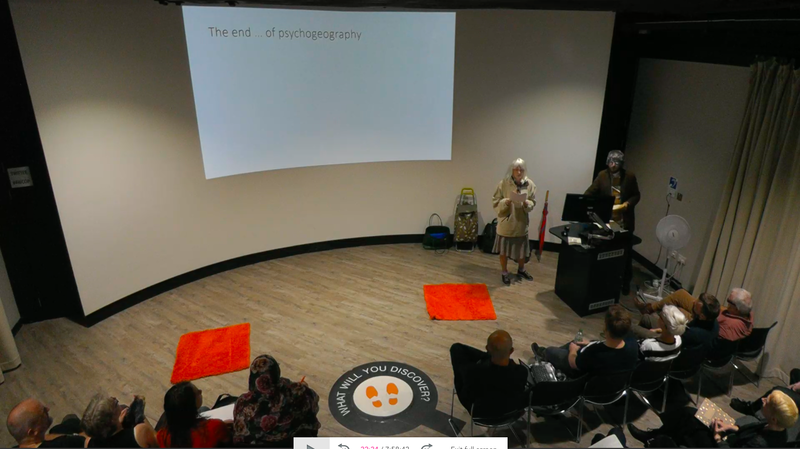 Anyway, in the absence of a post from Brandenburg, Tim Waters has kindly allowed me to reproduce part of his post here, and link to his full report of the conference. 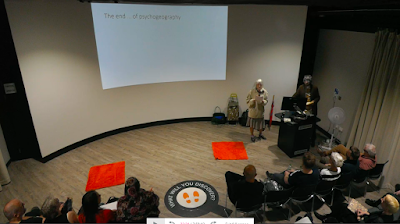 To open the congress, we were treated with a very special talk. David and Fenella appeared from a cupboard where they had been waiting for 30 minutes before I introduced them. There were some audio problems and some people complained about not being able to hear it properly from the back. But they steamed ahead. There were several laughs and I think when people got the format they enjoyed it. The format was in the way of a read sequence of email exchanges between these two academics. David did say that one of his chapters of a forthcoming book was available to be viewed, and here it is: ‘Either put on these glasses or start eating that trash can! 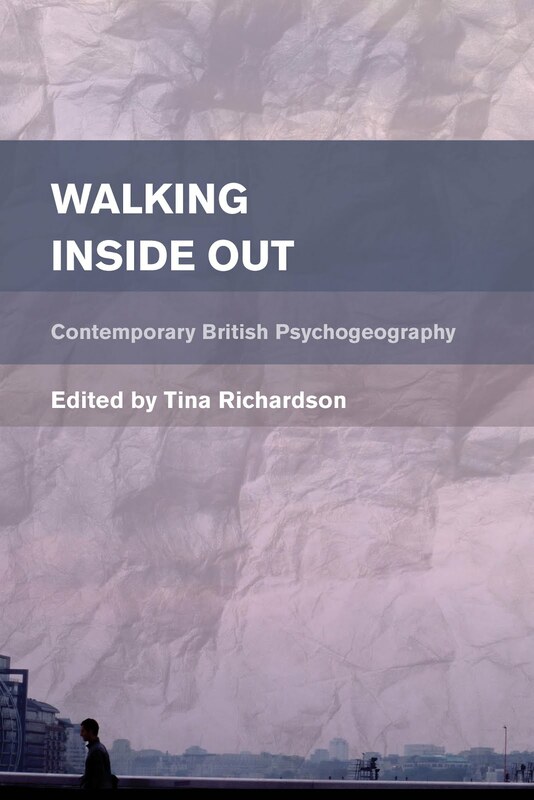 Psychogeographically walking with John Nada, Beryl Curt and David Bollinger’. You can read Tim’s full report here. Early this month I went to the Leeds Zine Fair for the first time. 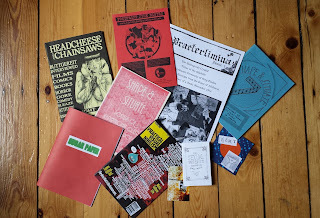 I believe this is an annual event, but this was my first visit as a zine-maker (or rather, zine-editor). I was preparing myself for a potential lecture on the subject, which I may be doing in the next academic year. 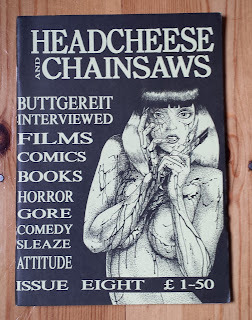 So, the selection above I bought for £10 - a bargain, I would say - which was my limited budget. I was as interested in the zine-makers as the zines themselves. 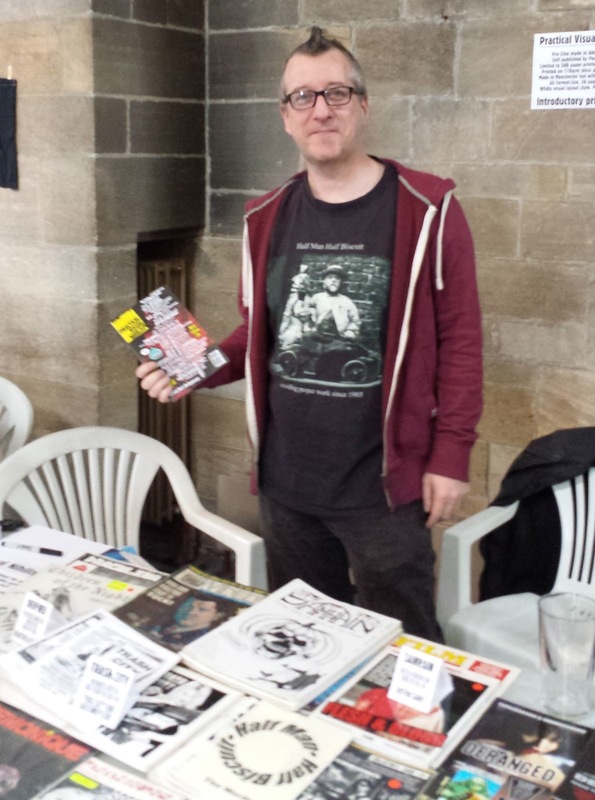 This chap had been making zines for years. 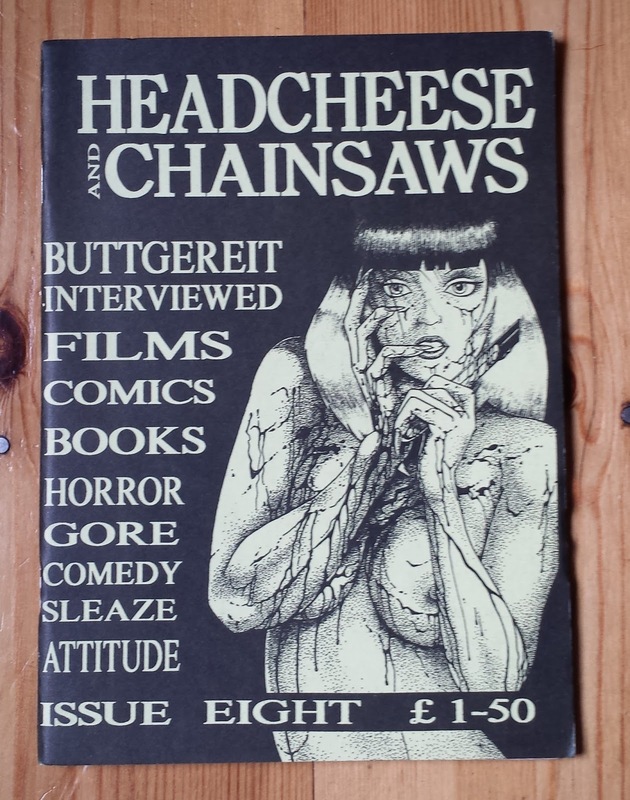 So, I bought one of his oldest ones that he told me was from the early 90s: Headcheese and Chainsaws/Sludgefest. 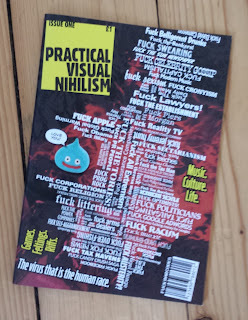 It's, sort of, two zines in one (you can reverse it, turn it upside down and you have another zine at the back). It also came with a couple of the original free inserts! It also became apparent that there is a large choice in terms of format and also a vast subject-area in terms of content. No more time to post anything more about my trip, but it was a great morning and I would highly recommend a visit to your local, annual zine fair. 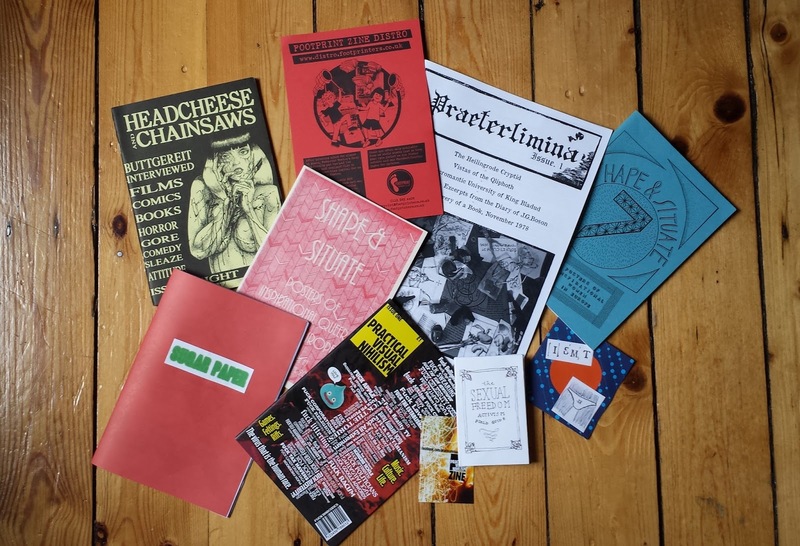 The zines, and the people, were fascinating and there are zines on everything imaginable: from 'sexual freedom' to 'necromancy'!